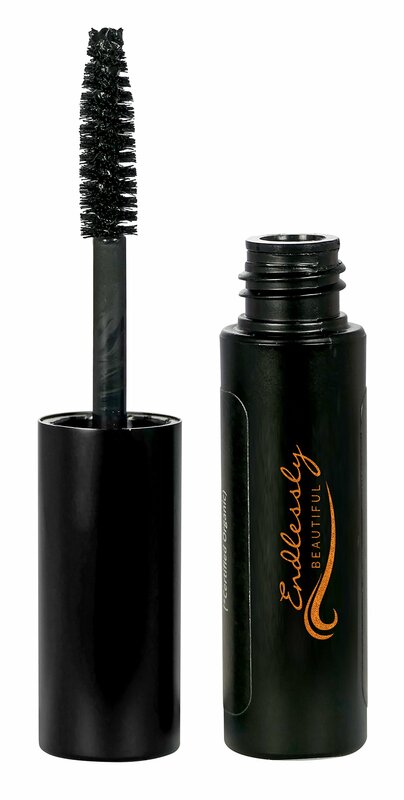 Home › Best-Sellers › Natural Organic Mascara By Endlessly Beautiful Black - Vegan & Gluten Free - ..
Natural Organic Mascara By Endlessly Beautiful Black - Vegan & Gluten Free - .. The best mascara for 2015! Made with 100% natural and 85% organic ingredients. No artificial colours, preservatives, or fragrances. Perfect for sensitive eyes and skin! Our long-lasting mascara will not flake, clump, or smudge. Easy to apply and easy to remove. Gentle enough for sensitive eyes. Look great naturally! Our high quality formula will accentuate your natural eyelashes by volumizing and lengthening for a beautiful, full look. Made in the USA. Cruelty free and not tested on animals. “This is excellent mascaraâ€ “The best part is that I'm able to wear it everyday, all day with NO smearing, no flaking, no irritated contactsâ€ “Gives myeyelashes a perfect natural lookâ€ “It is a great "everyday" mascaraâ€ Have youever wondered about the ingredients in most mascaras? Ever experienced yourlashes falling out as a result of using your favourite mascara? Is mascarajust too harsh for your sensitive eyes? If you answered YES to any of thequestions above, then you will love our organic, all natural, vegan and glutenfree mascara. Our mascara is enriched with tons of lash nourishing ingredientsincluding Chamomile, Vitamin E, Oregano, Thyme, Coffee Powder, Cinnamon,Rosemary and Grapefruit that condition and stimulate lash growth. If you havesensitive eyes…give this product a try! Customers who have never been able towear mascara before because of the harsh chemicals, are raving about this.With a product that is made from 100% Natural & 85% Organic Ingredients, andis also cruelty free…..how can you go wrong? PLUS, the tube is compact andtravel friendly so it will always fit in your on-the-go makeup bag. It evensmells good! What Our Customers Say: “I'm impressed. This performed almost asgood as high-end mascaras that I've usedâ€ “Not only does this mascara go onebeautifully, it has all natural ingredientsâ€ “My absolute favorite thing aboutthis mascara though was the fact that it did not feel like I had mascara on!â€? ?This is definitely a must have in all makeup bagsâ€ 30 Day Money BackGuarantee. Order today while supplies last. Limited Stock.